Obtaining a straight smile is convenient and easy with ClearCorrect, a clear braces treatment that improves oral health and beauty. Best utilized for teens and adults, these clear aligners offer a way to straighten teeth without metal wires and brackets. Grand Lake Dental provides ClearCorrect treatment in Grove, correct teeth misalignment and bite problems for teens and adults. If you’re interested in ClearCorrect, don’t hesitate to contact us today. We are here to answer any of your questions or help you schedule an appointment. This treatment utilizes clear aligner trays that are custom-made in the United State s to fit your smile. These aligners are removable, making for easy management of daily activities. Patients don’t have to worry about changing their diets or altering oral care habits to make this braces treatment work. Simply remove the aligners during meals, and pursue normal brushing and flossing habits. 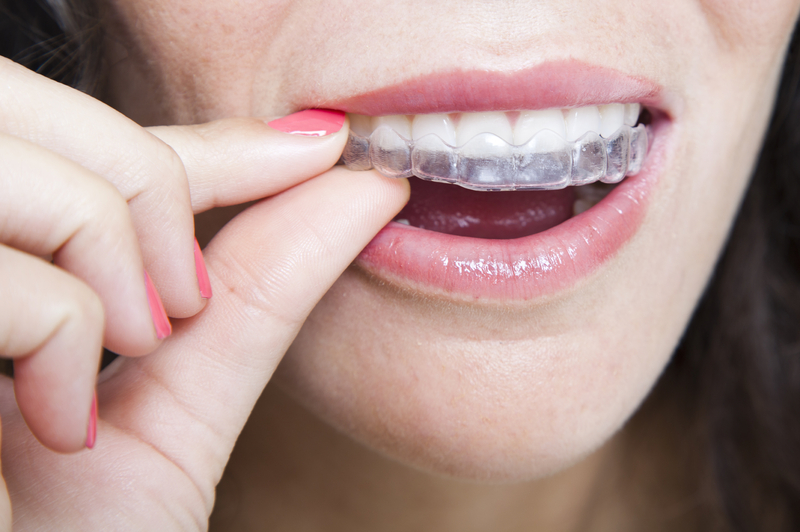 Instead of bulky metal wires and brackets, ClearCorrect braces are nearly invisible and made from comfortable, medical-grade polyurethane. This quality aligner material is resilient to wear and tear and provides the support needed to adjust teeth alignment. ClearCorrect is recommended for patients with mild to moderate cases of misalignment. Patients who did not receive braces treatment earlier in life have the opportunity to obtain a beautiful smile with these clear braces. If you’ve had braces before, ClearCorrect also adjusts teeth that are experiencing relapse from not wearing a retainer. If you’re an older patient looking to have a straighter smile, ClearCorrect can help you, too. There is no age limit on correcting the smile with this convenient treatment. When you visit our practice for a ClearCorrect consultation, we will be able to tell you if this treatment is right for you. From there, we prepare your treatment with a digital scan, which ensures the clear braces are custom-made to your alignment needs. Our Grove dentist then directs your treatment and provide the next set of aligners to straighten teeth. Patients need to wear aligners for most of the day and while sleeping in order for treatment to be successful. Dr. Jobst is your Grove ClearCorrect provider and is experienced in customizing this treatment for your needs. To receive care to improve teeth alignment today, call our practice for an appointment, or use our online request form.